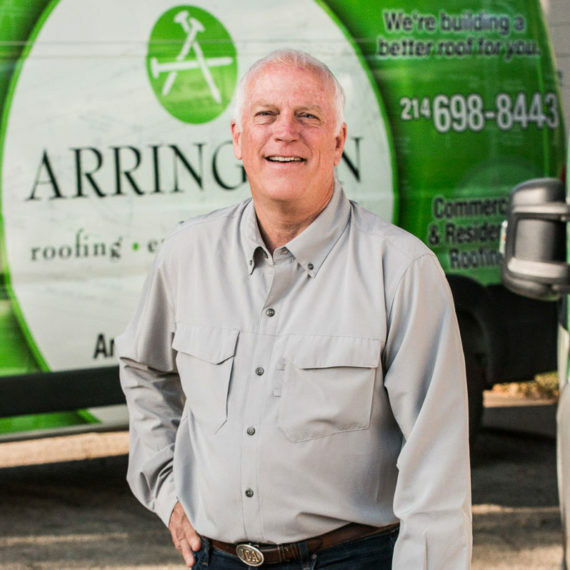 As founder and owner of Arrington, Chris leads the team and supervises all aspects of each roofing job. Chris received his degree in Architectural Design from Texas Tech University, and then established his business in real estate and construction. He evolved the business with a focus in roofing and energy systems which complemented his roots and passion for architecture. In his business, Chris is hands-on in educating and servicing clients, both residential and commercial, to deliver the smartest and most efficient solutions. His high level of integrity and his commitment to eliminate false hope and poor investment by his clients is what sets him and his business apart. He is equally committed to training his staff to be up-to-date on their skills and knowledge so they can each deliver the level of service Arrington customers have come to expect. Chris is a HAAG Certified Roof Inspector for both commercial and residential roofs.